Ecosystem-based management (e.g. partial cut harvesting) attempts to mimic natural forest dynamics and maintain structural complexity, and this less intense harvesting may minimize the impact on forest floor fauna and help maintain soil system biodiversity. 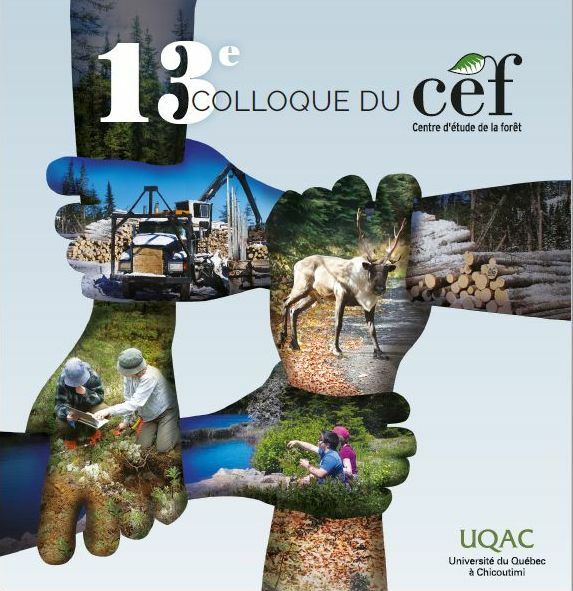 We tested how different experimental harvesting regimes affect the diversity, abundance and composition of Oribatida at the sylviculture et aménagement forestiers écosystémique (SAFE) research forest located in the Abitibi region in NW Québec. Litter and soil were sampled in June 2006 in the mixedwood boreal forest at SAFE where the following treatments were applied and replicated three times: clear cut harvest, 1/3 partial cut harvest, 2/3 partial cut harvest, prescribed burn (after clear cut harvest) and uncut control. Eight years after harvest, partial cuts had more similar species composition to the uncut control within their respective blocks; however, burned habitat showed a shift in species dominance patterns and harboured a relatively distinct composition and species richness compared to treatments. With the exception of samples from clear cuts, species composition of the harvesting treatments was more similar within blocks than among blocks, suggesting that for less intense harvesting practices, spatial scale (i.e. regional factors) could have a greater influence in structuring oribatid assemblages than harvesting regime, but in more severe disturbances such as burn-after-clear cut harvest, habitat is altered enough to affect oribatid biodiversity.